RMNP, next to Estes Park, CO, never fails to inspire photographers and site seers alike, yet often in a multitude of emotional ways. Most certainly this is the case with photographic captures like this stunning early morning shot of Bear Lake "where the skies were not cloudy all day" (at least not for this bold, inviting combination landscape/waterscape rendering)! 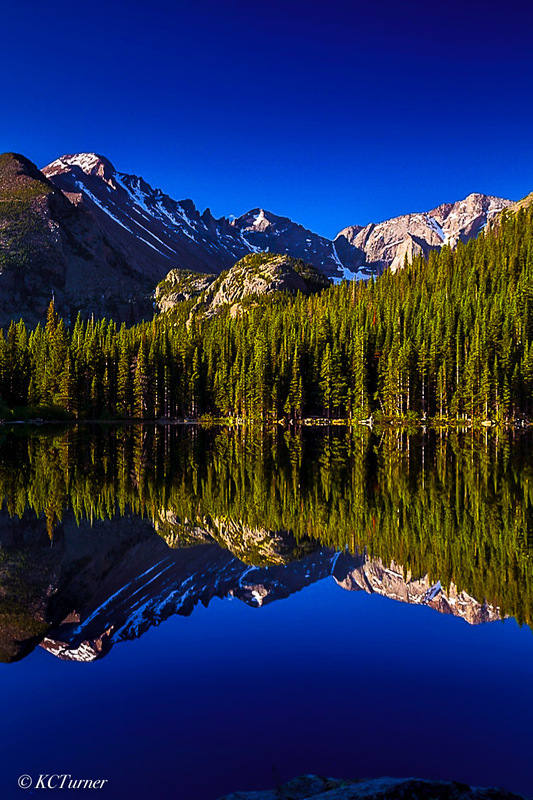 Here, once again, Colorado's famed Rocky Mountain National Park offers us a deeply intense yet quieting mirror image of itself.